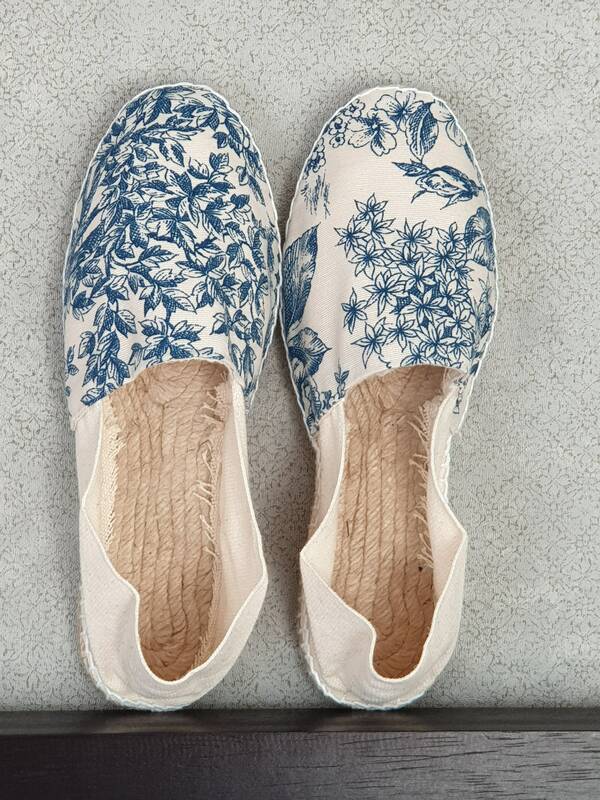 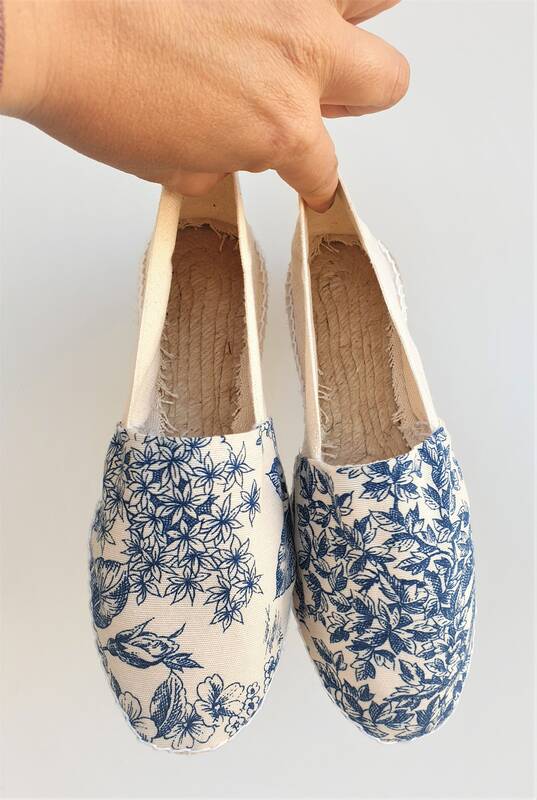 Rope sole espadrilles with front in pattern to choose among 6 options of TOILE DE JOUY fabric. 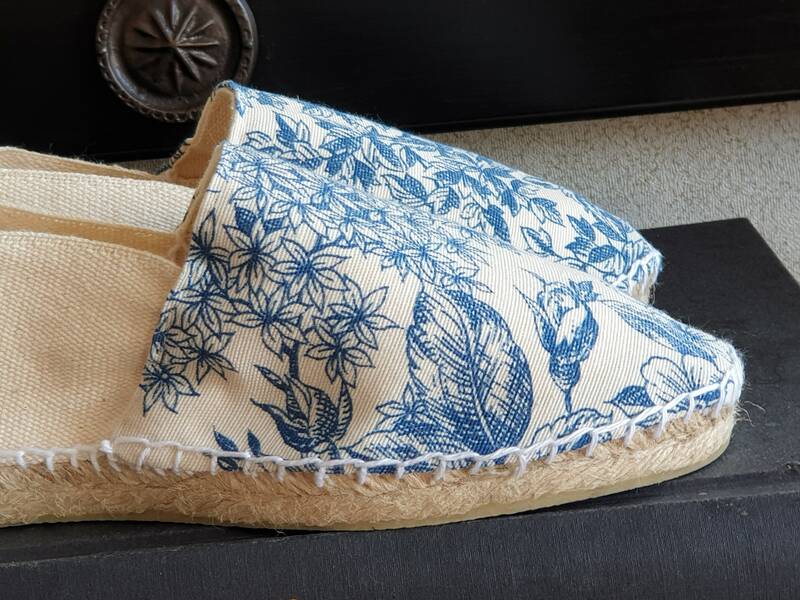 Espadrille canvas will be chosen by seller to match pattern. 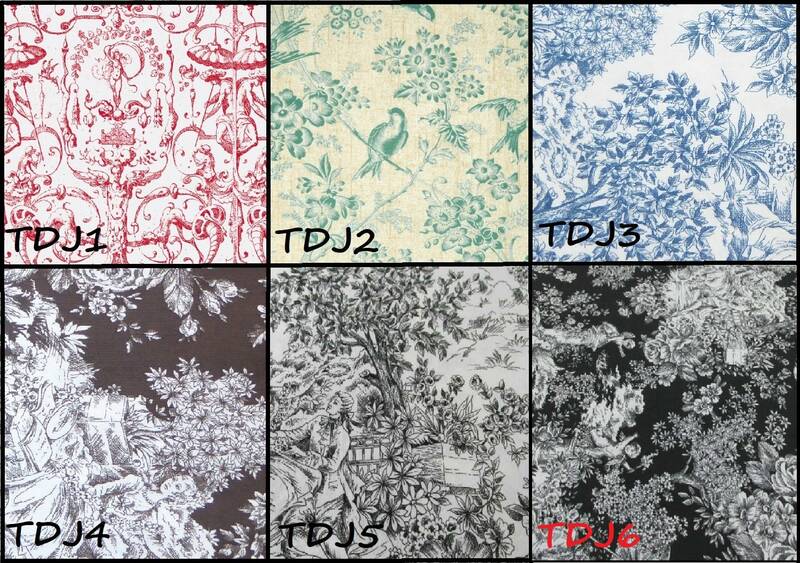 Should you want a specific canvas color, please ask in "Notes to the seller". 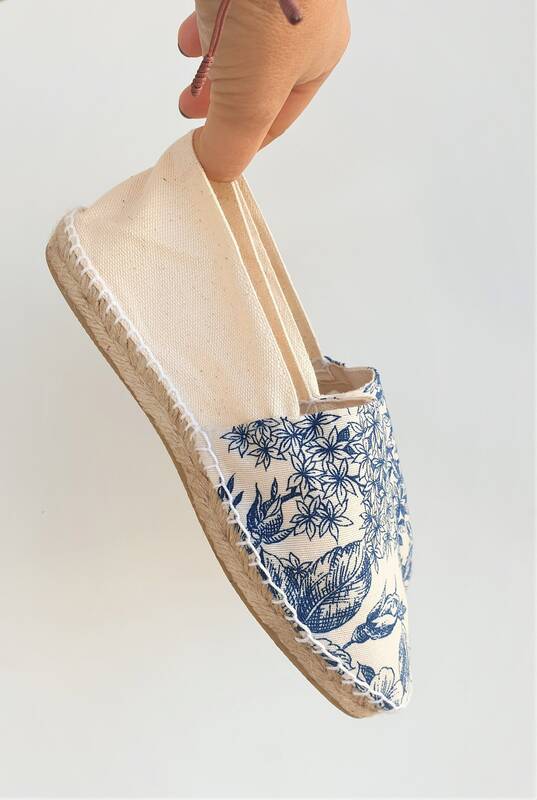 Antislippery sole with rubber.